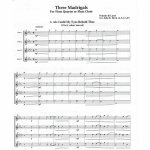 This arrangement of three popular madrigals (I. Ah Could My Eyes Behold Thee II. O Lady Fair III. I Know a Young Maiden) by the Renaissance Italian composer Orlando di Lasso is a delightful addition to any flute ensemble program. 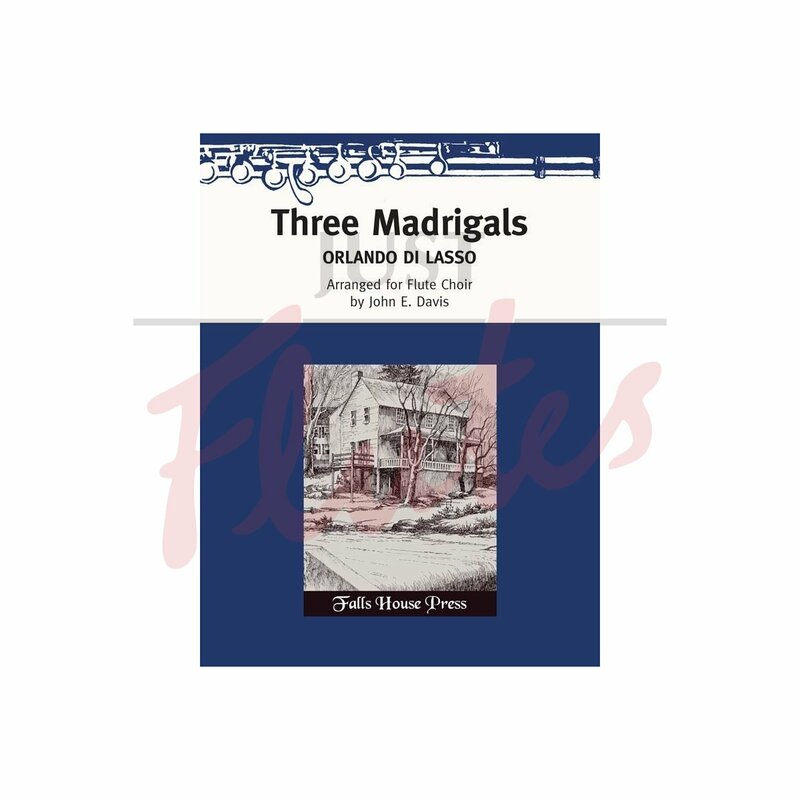 Exemplifying the transition between late renaissance and early baroque musical styles, these madrigals combine forward-looking homophonic textures with 16th century harmonies and cadence figures. 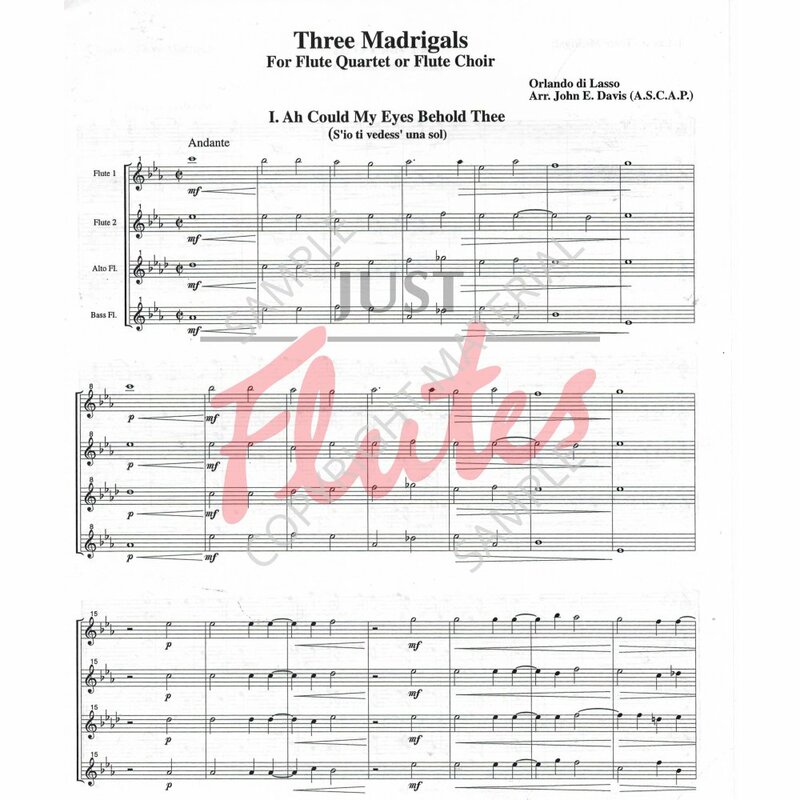 Scored for either 2 C flutes, alto &bass or 3 C flutes & alto, "Three Madrigals" can be performed by ensembles ranging from flute quartet to flute choir. Alternate parts for alto and bass flute are included. *FINALIST in the 2001 NFA Newly-Published Music Competition.